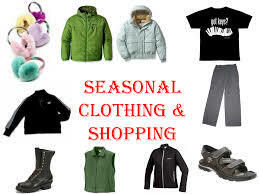 I have learned that life is easier when we have two of seasonal clothing items! Let me explain. Since I have limited opportunities to shop, I do a lot of planning. Each child has two pairs of shoes. Do you know how many times our kids misplace their shoes? If I were to ask Tristan where his missing shoes were he would not be able to tell me. There have been times Tristan has thrown his shoes out the car window while I was driving! In winter, both boys have 2 winter coats. Inevitably a zipper will break or one will be wet from playing in the snow. I live in the Mid-West and typically in the middle of a season stores are already sold out of winter coats. Each child also has two pairs of boots. During summer months we each have 2 swimming suits. Let me add these rules can apply to adults too! One week Tristan was really attached to my winter coat. It was cute! Until…he took it to bed with him one night. We didn’t realized what he had done until the morning. By then he had leaked out of his diaper. So I was stuck with NO winter coat in winter. Luckily I borrowed one from my other son. Do you have any seasonal clothing strategies I may have missed? I have a lot of scarfs, hats, and gloves. I do not have a great system in this area. I would love ideas!